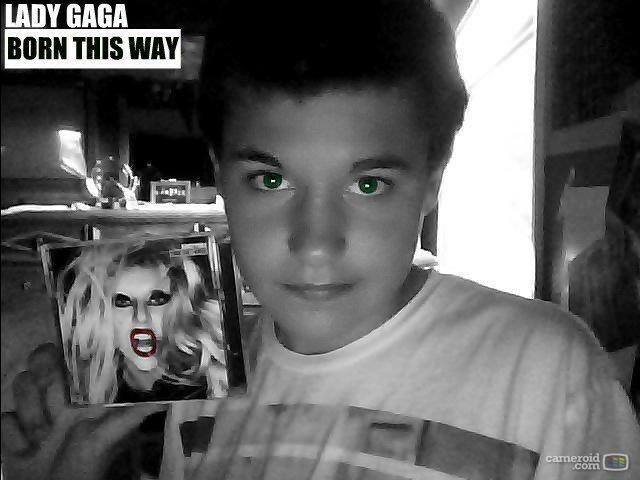 Jamey Rodemeyer, 14 years old from Buffalo, NY, committed suicide last weekend because of gay bullying. Rodemeyer was a big fan of Lady Gaga, as seen from the last Twitter message of his life. "@ladygaga bye mother monster, thank you for all you have done, paws up forever," tweeted Rodemeyer on Sept. 18, just before he was found dead. "Don't forget me when I come crying to heaven's door," he wrote on his Facebook page as he posted lyrics from Lady Gaga's song "The Queen." In reaction to the tragic news of his death, Lady Gaga advocated for laws against bullying. "Jamey Rodemeyer, 14 yrs old, took his life because of bullying. Bullying must become illegal. It is a hate crime," Lady Gaga tweeted on Wednesday. "The past days I've spent reflecting, crying, and yelling," she continued. "I have so much anger. It is hard to feel love when cruelty takes someone's life." "I am meeting with our President. I will not stop fighting. This must end. Our generation has the power to end it. Trend it #MakeALawForJamey," the singer posted on Twitter later on the same day. It is unclear as to whether Gaga has set up an official meeting with President Barack Obama, who will be at the Department of Education's national summit against bullying. Rodemeyer endured constant bullying for being homosexual from classmates at Williamsville North High School in Buffalo, N.Y. both in person and virtually. "It was a constant taunting," his mother, Tracy, told NBC affiliate WGRZ. "The same people over and over." In May, the 14-year-old posted a Youtube video for "It Gets Better" project, assuring himself that it gets better, and saying that Lady Gaga always made him happy, letting know that he was "born this way." "Hold your head up and you'll go far. Because that's all you have to do, just love yourself and you're set," said Rodemeyer in the video. Jamey's father Tim Rodemeyer said, "To the kids who are bullying they have to realize that words are very powerful and what you think is just fun and games isn't to some people, and you are destroying a lot of lives." Tracy Rodemeyer told CBS News, "All the girls just loved him and they always defended him, but all the boys would say, 'Geez, you're such a girl. Why are you hanging out with all those girls? What are you, a girl? Oh, you must be gay.'" The thin rope of hope Jamey was clinging to was not strong enough. Despite the advice from counselors not to post on social networks, Rodemeyer continued his active use of Youtube, Facebook and Tumblr blog. "I always say how bullied I am, but no one listens. ... What do I have to do so people will listen to me?" Rodemeyer pleaded on Facebook several weeks ago. "No one in my school cares about preventing suicide, while you're the ones calling me [gay slur] and tearing me down." Dan Savage, founder of the "It Gets Better" project" posted on his personal blog about the "sad" news of participant Jamey Rodemeyer taking his life. "The point of the 'It Gets Better' project is to give kids like Jamey Rodemeyer hope for their futures. But sometimes hope isn't enough," Savage wrote. "Sometimes the damage done by hate and by haters is simply too great. Sometimes the future seems too remote. And those are the times our hearts break." Jamey Rodemeyer will be buried on Saturday in a Lady Gaga t-shirt that reads "Born This Way," his mother said. Also read: Pakistan Appoints New Ambassador to U.S. Winner of Republican National Security Debate: The Economy? Get the latest news, great deals, discounts and special offers delivered right to your inbox. © Copyright 2011 International Business Times Inc.